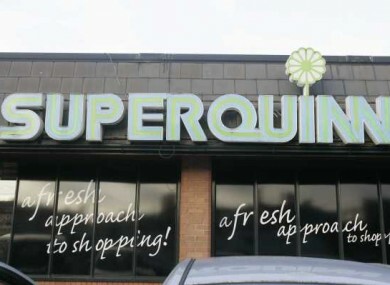 Terms and conditions of employment at Superquinn will stay the same under new owner Musgrave, while the Small Firms Association says it fears for smaller suppliers. SUPERQUINN EMPLOYEES WILL not face any changes to the terms and conditions of their employment, after the supermarket was sold to Musgrave this morning. Superquinn went into receivership last night, but this morning 2,800 jobs were saved when it emerged that the supermarket was to keep trading as normal. Breaking News reports that staff have been told that their jobs and pensions are safe, and that there will be no change to the terms of their employment. Meanwhile it’s reported by RTÉ that suppliers will still be owed around €25 million after the receivership. KPMG has said that it will do everything in it’s power to pay suppliers what they are owed, but only for goods which are still in stores. Goods that have been sold on to customers, but which the suppliers have not been paid for, will not be covered by the receivers. The Small Firms Association says that it has been inundated with calls from small food and drink suppliers around the country, who are concerned about payments. The fact that the receivership, the proposed sale to Musgrave, and letters to suppliers stating that the receivers ‘have no authority to agree or pay any debts due to suppliers which arose prior to out appointment’ have all taken place in 24 hours, demonstrate that this was a well planned process to write off debt, and this devastate the small business food and drink sector. The SFA has sought a meeting with the receivers. Email “Superquinn workers retain conditions, while suppliers fear for payments”. Feedback on “Superquinn workers retain conditions, while suppliers fear for payments”.